Random Design Paper Bags . 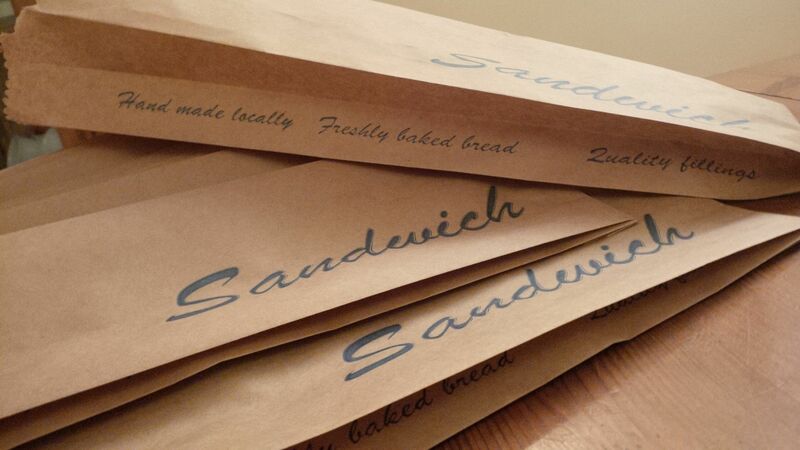 Fantastic heavyweight paper bags , ideal for all non food point of sale uses including gift shops , greeting cards , post cards etc. 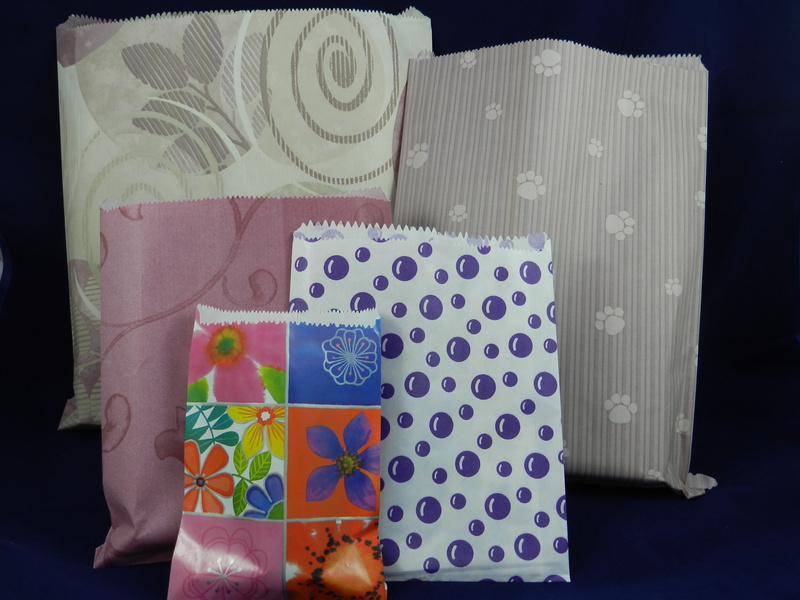 Manufactured using a by product from the textile printing industry this packaging can truly boast to be 100% recycled. 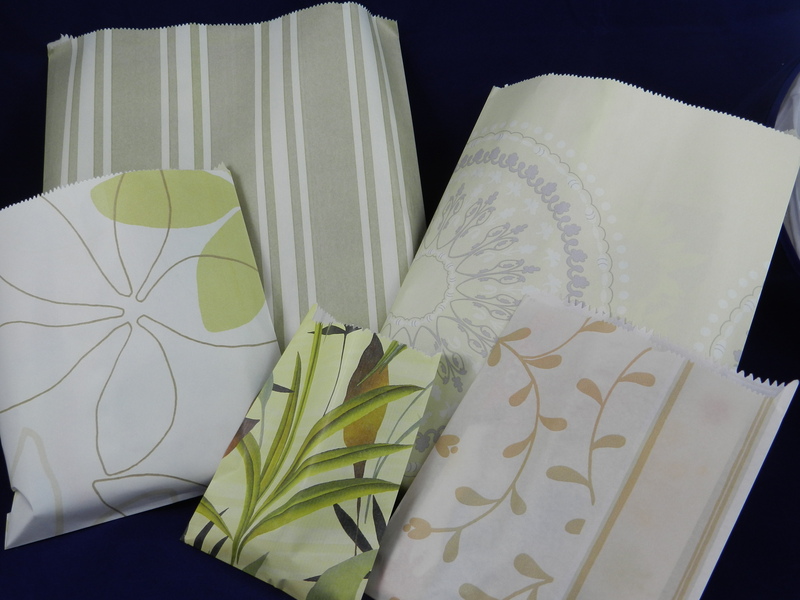 Many sizes of flat and satchel paper bags are produced on a daily basis ranging from 5" x 5" through to 19" x 21". 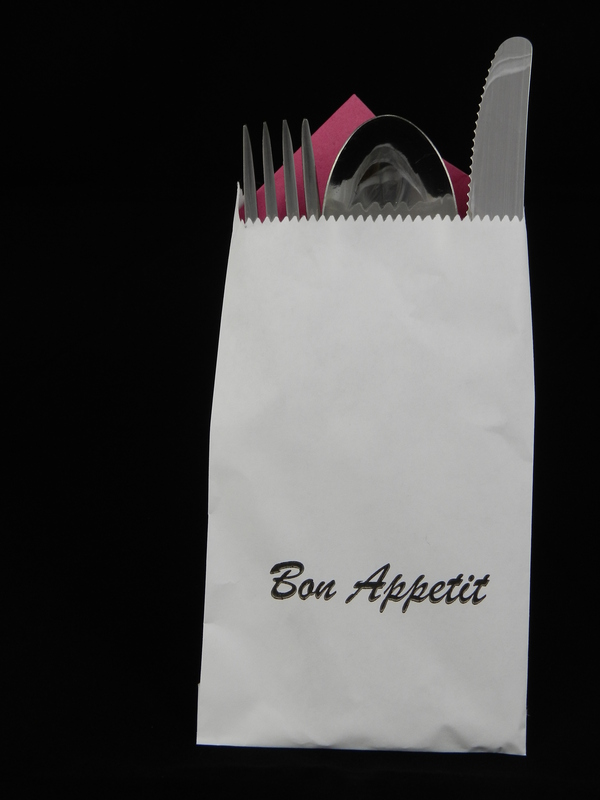 We are now the only remaining manufacturer of these paper bags within the UK and Europe. 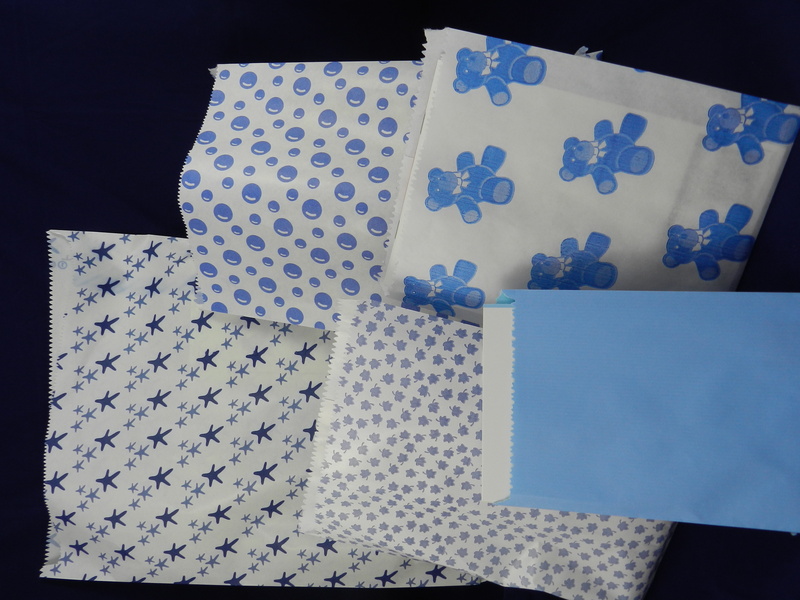 Please contact us for further details and samples. 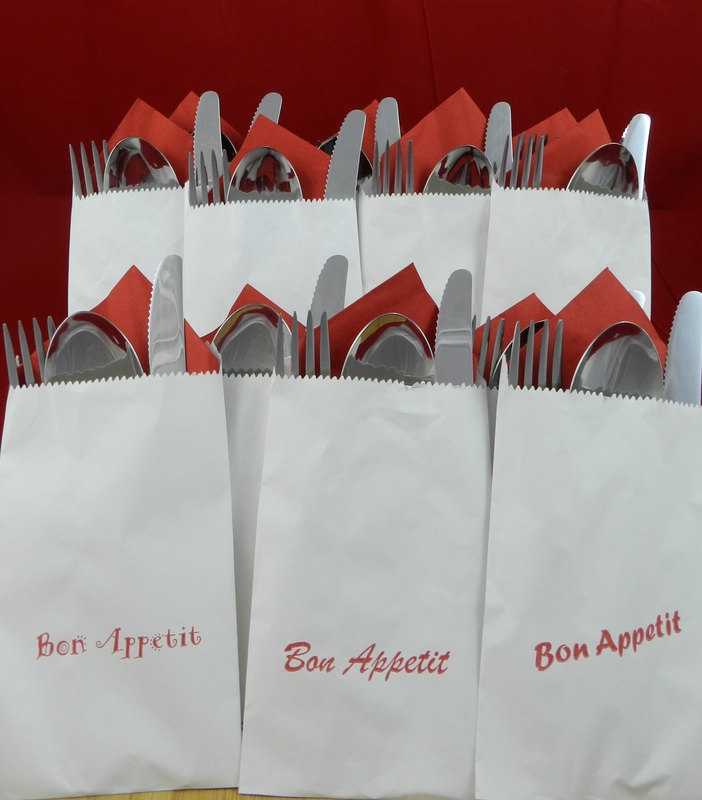 Bespoke printed paper bags, not a new idea but a highly efficient and extremely cost effective way to enhance your products and store. 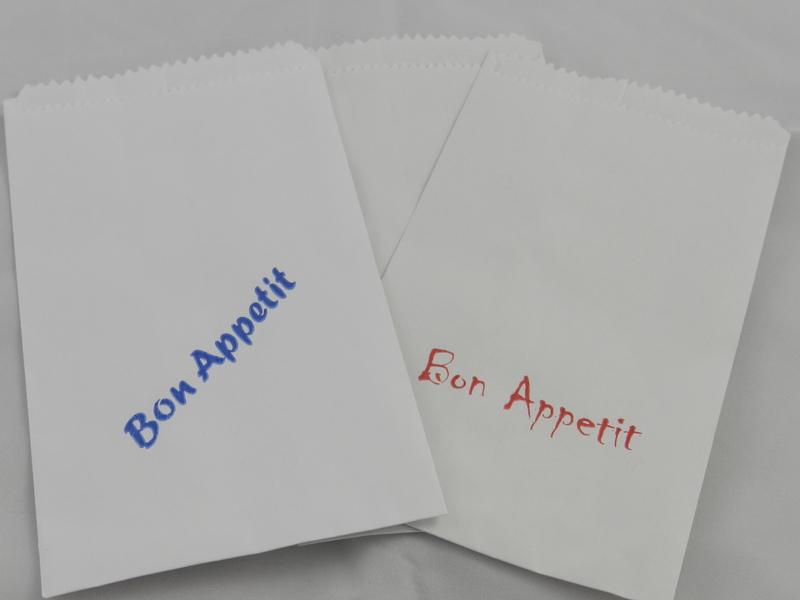 We can print on both sides of the paper bag up to two colours , all our inks are enviromentally friendly water based ink. Printed bags can be used to promote your business with name contact details and address , and can also be printed with special offers or promotions. Highly suitable for all retail point of sale packaging , available in strong white or brown kraft paper , 100% recyclable. 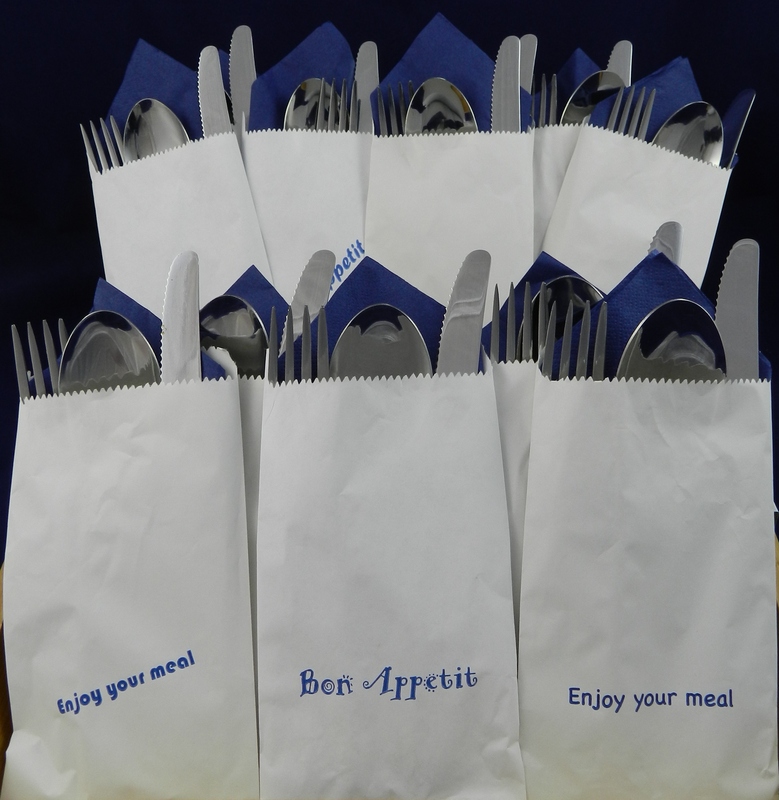 Cutlery packaging paper bags are designed to offer your customer with a hygenic and user friendly way of presenting their cutlery at table, place cutlery and a napkin inside the bags all of which can be prepared by staff in advance to speed up the all important turn of tables. Can be printed with your details or use our stock design bags available ex stock. Can also be used to promote special offers or advise of party nights or upcoming special events.